Shralpin (https://shralpin.com/shop/abec-7-bearings) proudly announced the debut launch of their skateboard bearings this past week. Their Abec 7 bearings are packed with features that ensure speed, strength, and durability, making them the ideal choice for avid skateboarders. Shralpin began as an Instagram page that has quickly exploded over the past couple of years. Skaters from all walks of life are well represented on Shralpin, a platform for skateboarders, by skateboarders. They currently have over 500,000+ active followers on social media and are known for providing maximal exposure of talented amateur and up and coming skateboarders to the world. Videos, news, sponsor updates, etc. can all be found in one convenient location, whether it be on their website or social media platforms. Shralpin has recently ventured into manufacturing skateboard bearings. These bearings have been in the works for a few years but were not ready to be released to the public just yet. After a rigorous amount of testing, Shralpin is proud to release their bearings to skateboarders worldwide. -	Stainless-steel balls and polished races designed to roll faster and ride smoother. -	Lightweight, low friction nylon cages that allow for smoother riding conditions. -	A removable, non-contact rubber shield that permits skaters to leave them on or remove them for a raw feel. -	Shralpin Speed Oil that improves the performance of the bearing while expanding its longevity. 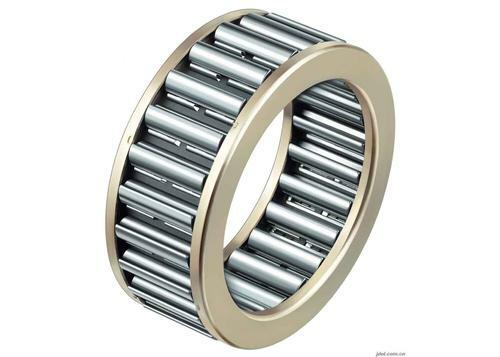 -	Water and dirt resistant, decreasing the wear and tear of the bearing. Bearings are found at the center of every skate wheel. Their purpose is to eliminate the friction that occurs between the metal in the wheel and the metal axle of the trucks. They are the smooth, rotating mechanisms that skateboards require for movement. It is important for skaters to find the best bearings that the market has to offer in order to meet their individual skating needs. Abec 7 Precision Bearings from Shralpin are the ideal product that skaters have been searching for. "We have put a lot of thought and research into understanding what skateboarders want from their bearings. Our Abec 7 bearings are the result of combining the latest technology and smart design into one package," says the owner of Shralpin. Abec 7 bearings from Shralpin boast smart features that offer maximum benefits for the rider. These bearings have been rider tested to ensure top notch performance. They have been approved for high impact rides by leading professional skateboarders. Shralpin's release of Abec 7 bearings is an advantageous offering to consumers. The creation process of these bearings has zoomed in on quality and have been proven to be a durable, long lasting choice for skateboarders. The bearings are reasonably priced and will give you the most bang for your buck.